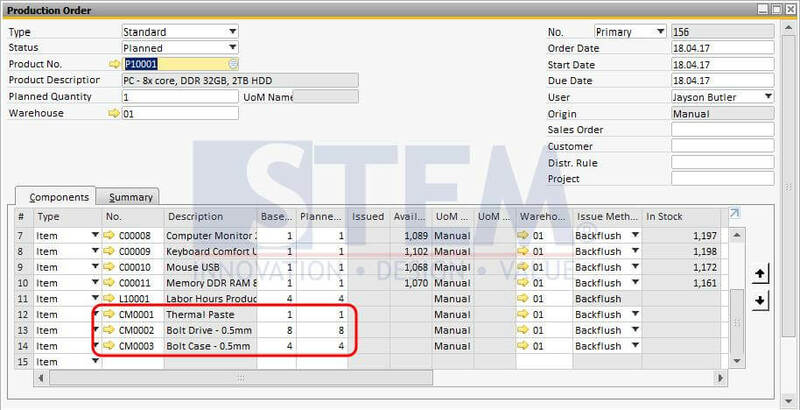 An item in SAP Business One, can be set as a phantom item. What is it ? Phantom item is like an alias for some items. 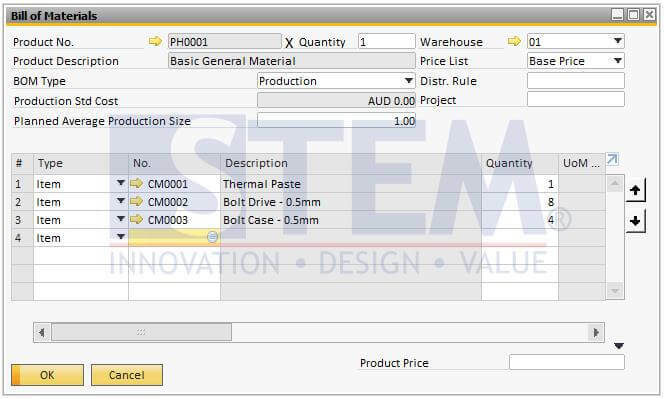 It usually used in multilevel Bill of Material (BoM). 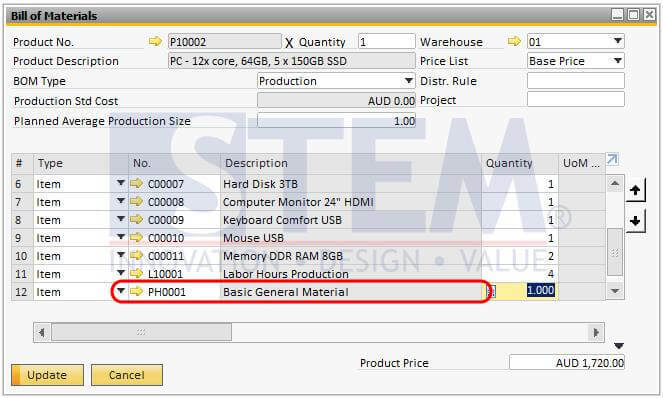 Instead having to write down some similar components in several BoM master data, we can just use 1 phantom item to simplify the BoM. We don’t keep inventory for phantom item. 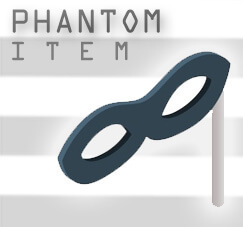 See picture below for better understanding about phantom item. 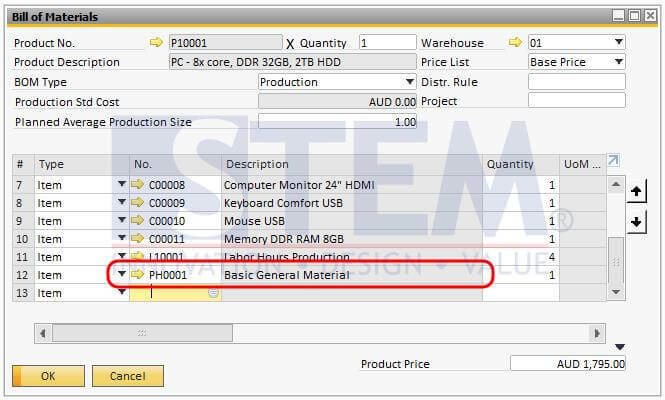 Figure 04 – Invidual components of a phantom item appear in production order.